Personnel Training | Daikyo Kenki Co., Ltd.
We keep working on skill developments in order to meet advanced technologies, and to achieve the continuous trusts from clients. In addition, we are the pioneer of hiring the first female operator in 1990. At a safety meeting: stretch out tapes to confirm the viewing angles from the cabin. One of the most important factors for crane operators is to understand viewing angles in order to achieve safety. We regularly hold a safety meeting and use tapes to see and check the actual viewing angles. 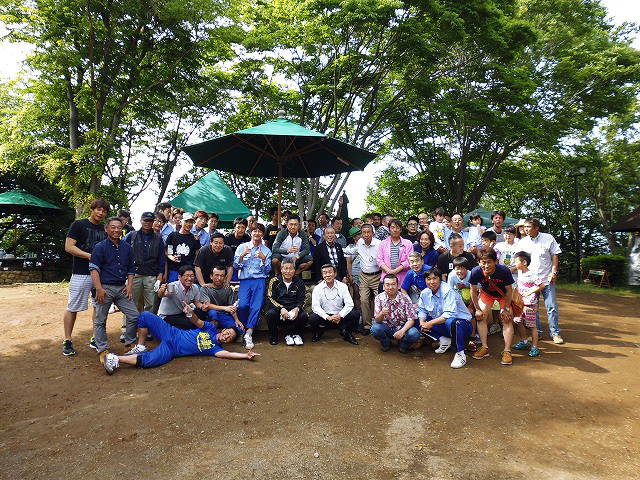 After a safety meeting, we open a gathering BBQ party with their families. After reconfirming the importance of safety and assurance, we open BBQ party inviting the families to relax in outdoors. 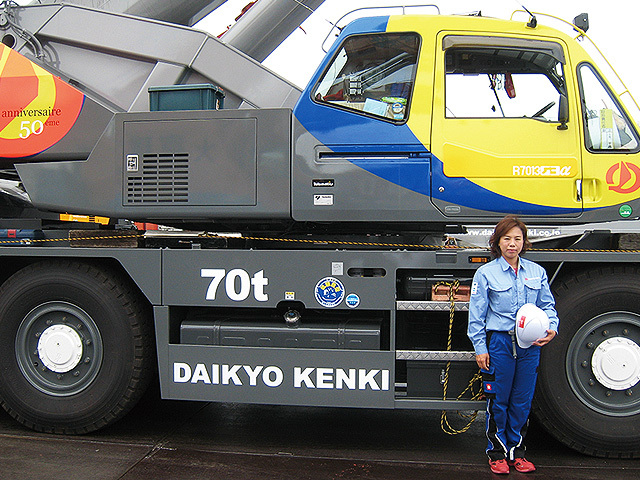 A female operator and her 70t rough terrain crane with our anniversary painting. In accordance with Equal Employment Opportunity Law, we immediately hired the first female operator among others in this industry and they are playing active parts in job sites now.